As the dust clears on OnLive's sudden death and rebirth earlier this year, new details emerge showing that the company sold for only $4.8 million. The Verge obtained copies of a letter detailing the sale, in which investor Gary Lauder formed a new company, OL2, and acquired all OnLive assets for a $4.8 million bargain. Those assets included all intellectual property rights, such as the OnLive name, allowing the new company to continue the game streaming business as the original firm fizzled out. The sale was made on Aug.14, just three days before OnLive laid-off nearly all of its employees (many of whom were soon rehired by the new company). Details were hazy as to the company's future when news first broke, but the new details suggest that OnLive's sale was put in motion before news of its financial troubles became public. At the time of the sale, OnLive was reportedly $18.7 million in debt to creditors and on the verge of declaring bankruptcy. Without hope of receiving a better offer in time to save the company's assets, Lauder and his Lauder Partners venture capital firm found themselves in the right place at the right time to strike a deal. The sale allowed OnLive to file for Assignment for Benefit of Creditors, or ABC, instead of bankruptcy. With the ABC, OnLive's remaining assets transferred to Lauder's new OL2 company. 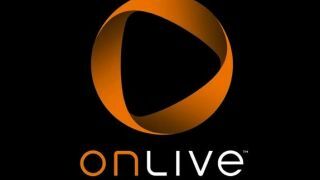 OnLive now operates under its new ownership, continuing to offer customers its game streaming service.